The Infinite Divider System features translucent clear boxes with dividers that adjust in 1/16" increments. You can place them exactly where you want with no wasted space! Organize and protect all your small items. 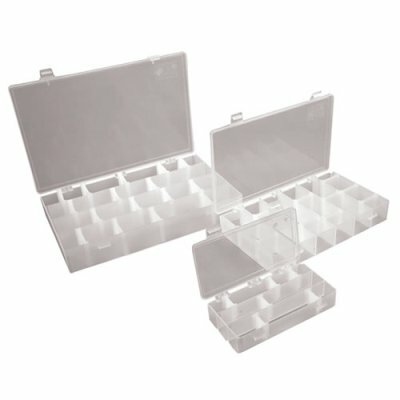 3 Compartments, 6 Dividers: Infinite Divider System is a unique patented system that allows you to place dividers exactly where you need them. No wasted space. Zerust has proven to be the absolute best way to protect your tools against rust and corrosion. Molded into our Tuff Tainer dividers, this patented polymer emits a harmless vapor, forming a protective layer around metal surfaces. All Zerust products will maintain their effectiveness for up to five years or more, so you can count on hassle free, long lasting protection with our Tuff Tainer utility boxes. The infinite divider system features translucent clear boxes with dividers that adjust in 1/16-inch increments. You can place them exactly where you want with no wasted space organize and protect all your small items. 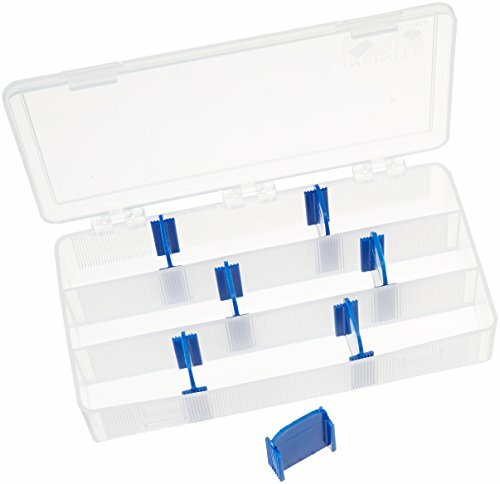 4 Compartments, 8 Dividers: Infinite Divider System is a unique patented system that allows you to place dividers exactly where you need them. No wasted space. Zerust has proven to be the absolute best way to protect your tools against rust and corrosion. Molded into our Tuff Tainer dividers, this patented polymer emits a harmless vapor, forming a protective layer around metal surfaces. All Zerust products will maintain their effectiveness for up to five years or more, so you can count on hassle free, long lasting protection with our Tuff Tainer utility boxes. Flambeau Outdoors Infinite Divider Systems IDS With 6 Compartments (Includes (6) Zerust Dividers). Product Dimensions: 11" L x 6.75" W x 1.75" D Format: 5 Fixed Partitions (Includes 6 Zerust dividers). Proudly Made in the U.S.A. The original patented divider system that allows you to place Zerust dividers exactly where you need them-the Infinite Divider System Series. The design permits dividers to be placed every 1/16" to customize desired compartment space. What is Zerust? A patented VCI polymer technology molded directly into specific Flambeau plastics that provides years of hassle-free, long-lasting rust and corrosion protection. How does Zerust work? Zerust-infused plastics emit an odorless, harmless vapor in a contained area to naturally form a protective layer around exposed, clean metal surfaces to prevent oxidation-reduction and stop rust and corrosion. 600IDS Features: -High-impact plastic resists oils, solvents and most common chemicals. -Also fits inside other ArtBin boxes and softside totes. Portfolio Type: -Presentation Case. 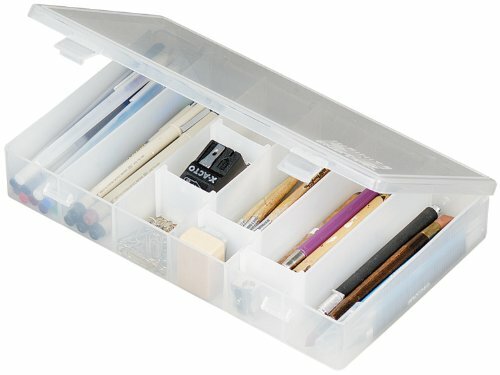 Product Type: -Art Supply Storage Bins & Trays. Hard Sided: -Yes. Storage Compartment: -Yes. Country of Manufacture: -United States. 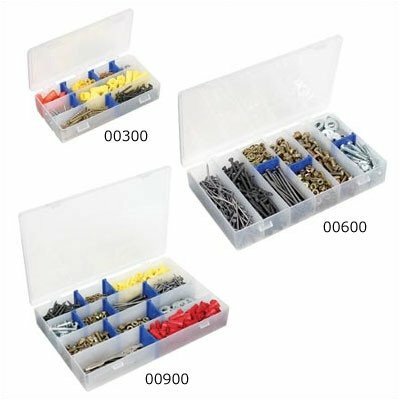 Generic Specifications: -The 6 dividers adjust in 1/16'' increments. Dimensions: Overall Height - Top to Bottom: -1.75". Overall Width - Side to Side: -11". Overall Depth - Front to Back: -6.75". Overall Product Weight: -6 lbs. This is for 1 pcs. 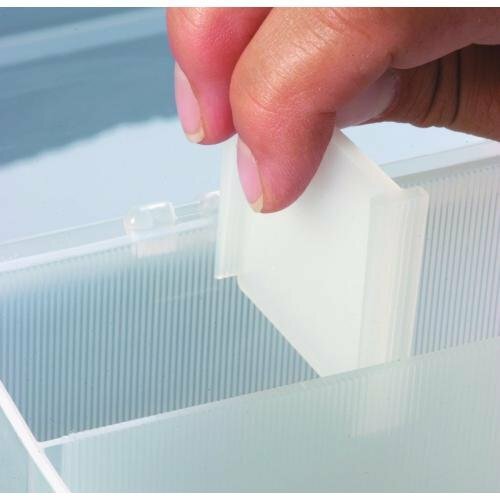 ArtBin IDS (Infinite Divider System) Compartment Box-11"X6.75"X1.75" Translucent. Patented Infinite Divider System allows compartments to adjust in 1/16 increments- no wasted space! 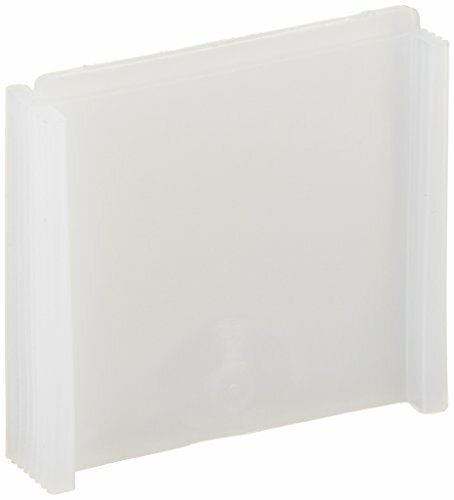 Durable translucent polypropylene resists oils solvents and most common chemicals. For additional dividers see 6108DP and 9108DP. Acid-free. Organize your space the way you need it. Dividers can be adjusted 1/8" at a time. Great for small parts of various sizes. Made of polypropylene. #53348 has 3 fixed compartments 6-5/8" x 1-1/16" running length wise and 6 IDS dividers. #53349 has 6 fixed compartments 1-11/16" x 6-3/16" running width wise with 10 IDS dividers. #53350 has 4 fixed compartments 13-1/8" x 2-1/8" running length wise & 16 IDS dividers. Extra dividers sold in pkgs of 8. Organize your space the way you need it with these compartment boxes with dividers. 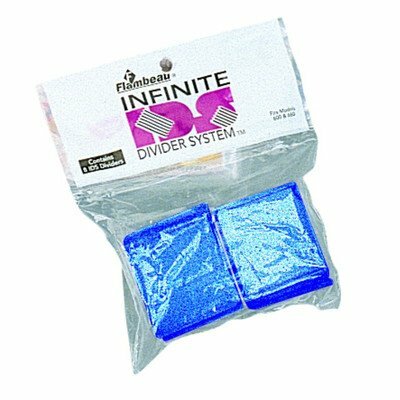 Additional dividers for the ArtBin Infinite divider system 600IDS box. Ids divider packs for the '00600 IDs TUFF Tainer. Infinite divider system is a unique patented system that allows fisherman to place dividers exactly where they need them every 1/16. No wasted space. Zerust has proven to be the absolute best way to protect your tackle against rust and corrosion. Molded into our TUFF Tainer dividers, this patented polymer emits a harmless vapor, forming a protective layer around metal surfaces. 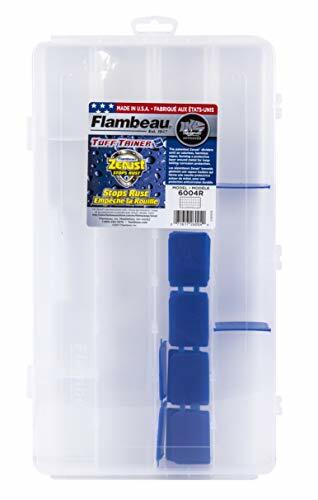 All zerust products will maintain their effectiveness for up to five years or more, so you can count on hassle free, long lasting protection with our TUFF Tainer utility boxes. This box with a handle is designed for use with the Flambeau Infinite Divider System Cabinet. The easy-carry handle helps facilitate transport. Movable dividers allow you to arrange and rearrange the box configuration accommodating the various sizes of items you may want to include in this container. Divider system box is made of rustproof polypropylene that is dent-proof and scratch-resistant. Box includes 16 dividers. Fabric Tapestry with digital printing. Printed by state of the art digital printing technology. No color fading in time. â€‹Available in two sizes. Non Vinyl, Non Peva. High Quality Turkish â€‹Made Silky Satin â€‹Fabric. Machine Washable. Environmentally friendly, no dye substance harming health of your family. Mold and mildew resistant. Adds great perspective that completely changes the look of your room. Vibrant colors. Clear Image. A designer artwork. Not a common usual tapestry you can find anywhere.â€‹ â€‹Unique. Genuine. FUN. Matches well with various color palates of rugs, curtains and any other home decor accessories. A mini home makeover. Quick and luxurious way to refresh and completely change the appearance of your home without a big expense with a single touch. A perfect gift idea for your mom, dad, sister, brother, grandma, wife, husband and all other beloved ones with thousands of surprising designs. You can find a theme for everybody for every area of interest in our collection. When they open the present they will be shocked by the superior quality of the item. No color fading as you use the tapestry thanks to the new digital printing methods. There will be no color difference on the surface and the cloth will not be easily damaged as a result of machine washing as it is made of very high quality 100% polyester tight woven fabric. It is not too thin or too thick. Dries fast after you wash it. Easy to use. Adds real value and depth to your home decoration. High resolution pictures and photographs brings 3D like realistic experience to your life. Your home is your place to relax. Its where you spend a considerable part of your day. Enter into a new world by having our items. Can be at a seashore, can feel ocean waves or meditate by the sound of water while staring at mountain landscapes. If you are a fan of sports or have a hobby of any kind, you will be spending time with it in your very personal space. Customized, personalized products are very popular. As manufacturers of digital printed home textiles, we follow current trends and bring you the latest home fashion. Either a gift to your family or friend, relative or boyfriend girlfriend, or a gift to yourself, the item should be interesting, authentic. Men or women, kids teens, boys or girls everybody will love this tapestry. Any person from any profession will get excited and thrilled by the difference that this tapestry brings to your house decor. Fabric Shower Curtain with digital printing. Comes as a Bathroom set with free hooks in the package. Printed by state of the art digital printing technology. No color fading in time. No Liner Needed. Dimensions: 69 W x 70 L Inches. Non Vinyl, Non Peva. High Quality Turkish Fabric. Machine Washable. Includes 12 white plastic free hooks. Environmentally friendly, no dye substance harming health of your family. Mold and mildew resistant. Adds great perspective that completely changes the look of your bathroom. Vibrant colors. Clear Image. A designer artwork. Not a common usual shower curtain you can find anywhere. Â Unique. Genuine. FUN. Matches well with various color palates of towels, rugs, bathroom mats and any other bathroom accessories. A mini bathroom makeover. Quick and luxurious way to refresh and completely change the appearance of a bathroom without a big expense with a single touch. A perfect gift idea for your mom, dad, sister, brother, grandma, wife, husband and all other beloved ones with thousands of surprising designs. You can find a theme for everybody for every area of interest in our collection. When they open the present they will be shocked by the superior quality of the item. No color fading as you use the shower curtain thanks to the new digital printing methods. There will be no color difference on the surface and the cloth will not be easily damaged as a result of machine washing as it is made of very high quality 100% polyester tight woven fabric. It is not too thin or too thick. Waterproof and dries fast after you take a shower. Easy to use. Adds real value and depth to your bathroom decoration. High resolution pictures and photographs brings 3D like realistic experience to your life. Bathroom is the place to relax. Its where you spend a considerable part of your day. Enter into a new world by having our shower curtains. Can be at a seashore, can feel ocean waves or meditate by the sound of water while staring at mountain landscapes. If you are a fan of sports or have a hobby of any kind, you will be spending time with it in your very personal space. Customized, personalized products are very popular. As manufacturers of digital printed home textiles, we follow current trends and bring you the latest home fashion. Either a gift to your family or friend, relative or boyfriend girlfriend, or a gift to yourself, the item should be interesting, authentic. Men or women, kids teens, boys or girls everybody will love this shower curtain. Any person from any profession will get excited and thrilled by the difference that curtain brings to your house decor. Fabric curtain panels set with digital printing. Printed by state of the art digital printing technology. No color fading in time. No Liner Needed. Available in two sizes. Includes 2 panels inside - The measurements are the total measurements of the set including two panels.â€‹ â€‹Perfect size for most living rooms and bedrooms. Fits rods up to 2.5" in diameter. Non Vinyl, Non Peva. High Quality Silky Satin Turkish Made Fabric. Machine Washable. Environmentally friendly, no dye substance harming health of your family. Mold and mildew resistant. Adds great perspective that completely changes the look of your room. Vibrant colors. Clear Image. A designer artwork. Not a common usual curtain panels set you can find anywhere. Unique. Genuine. FUN. Matches well with various color palates of rugs or any other home decor accessories. A mini home makeover. Quick and luxurious way to refresh and completely change the appearance of your home without a big expense with a single touch. A perfect gift idea for your mom, dad, sister, brother, grandmother, wife, husband and all other beloved ones with thousands of surprising designs. You can find a theme for everybody for every area of interest in our collection. When they open the present they will be shocked by the superior quality of the item. No color fading as you use the curtain panels set thanks to the new digital printing methods. There will be no color difference on the surface and the cloth will not be easily damaged as a result of machine washing as it is made of very high quality 100% polyester tight woven fabric. It is not too thin or too thick. Dries fast after you wash it. Easy to use. Adds real value and depth to your home decoration. High resolution pictures and photographs brings 3D like realistic experience to your life. Your home is your place to relax. Its where you spend a considerable part of your day. Enter into a new world by having our items. Can be at a seashore, can feel ocean waves or meditate by the sound of water while staring at mountain landscapes. If you are a fan of sports or have a hobby of any kind, you will be spending time with it in your very personal space. Customized, personalized products are very popular. As manufacturers of digital printed home textiles, we follow current trends and bring you the latest home fashion. Either a gift to your family or friend, relative or boyfriend girlfriend, or a gift to yourself, the item should be interesting, authentic. Men or women, kids teens, boys or girls everybody will love this curtain panels set. Any person from any profession will get excited and thrilled by the difference that this curtain panels set brings to your house decor. 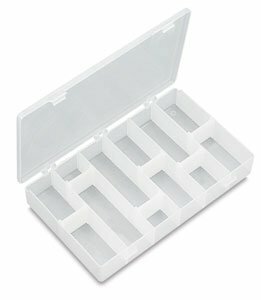 ArtBin IDS (Infinite Divider System) Compartment Box 11"X6.75"X1. 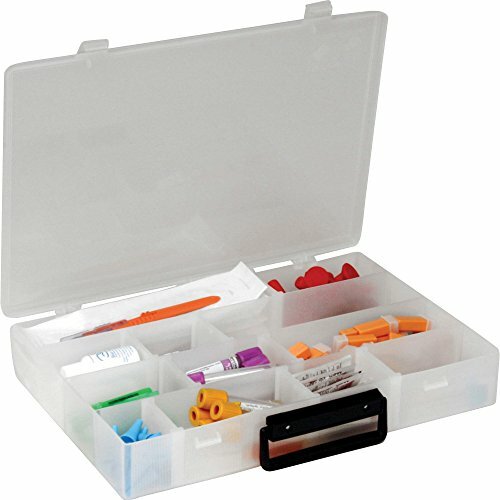 ArtBin IDS (Infinite Divider System) Compartment Box-11"X6.75"X1.75"
Ids-Infinite Divider System- Compartment Box-11"x6.75"x1.75"
Unimedmidwest T6id118719 Unimed-midwest Infinite Divider Storage Box6.75"
Looking for more Ids Infinite Divider similar ideas? Try to explore these searches: Jet Speed Models, Infiniti G37 Sedan, and Embossed Poly Covers. BlesDeal.com is the smartest way for online shopping: compare prices of leading online stores for best Ids Infinite Divider gift ideas, Ids Infinite Divider deals, and popular accessories. Don't miss TOP deals updated daily.